Need an MP4 converter for your videos? Look no further than Wondershare. Unlike the predominantly JPEG world of digital photos, you might be surprised to learn there isn’t a single common standard file format for video. However, the one you’ll most commonly come across is MP4. Why? Because virtually every media player on the market - including VLC, KMPlayer, 5KPlayer and RealPlayer - and every device can read and play can read and play MP4 files. MP4 stands for MPEG-4 Part 14 with .mp4 as its file extension. MP4 is a multimedia container format based on Quick Time file format that was created by Moving Picture Experts Group (MPEG). This file format stores different data and it has supports different codecs of images, videos and audios. The fact that MP4 supports so many different codecs means it's very often the file format of choice when it comes to video. So if you have video footage that won’t play on your phone, tablet or TV, chances are you’ll need to convert it to MP4. That’s where Wondershare Video Converter Ultimate comes into its own. To convert any video format to MP4 you need to use a video converter, such as Wondershare Video Converter Ultimate. This media converter supports different input video formats and output formats. Averagely, it supports over 1000 file formats. With that being said let us have a look at a step-by-step guide on how to convert any video format to MP4 using Wondershare Video Converter Ultimate. Wondershare Video Converter software is available for download on Wondershare website in Mac and Windows version. You can download the free version and purchase it later and then install it on your computer. Open the software that you have installed on your computer and select “Convert” button on the home screen. Just below it, click on “Add Files” and select the video file/s that you want to convert. Upload the files by clicking “Open” button. Next, you need to define the output format which is MP4 format for our case. The default format will always be MP4 but you can get more settings by clicking on “Convert All Files To” at the top right. Select MP4 format and then choose the desired output resolution. Next, you need to choose where to save your files. Click on the output Folder at the bottom of the window and choose where to save your file/s. You can now head to the bottom right and click on the 'Convert All' button. The video converter will begin immediately. The time it will take depends on the file size, but Wondershare is 90-times faster than any other video converter. It’s not just video Wondershare can handle. Want to convert audio files into different formats? Wondershare has you covered. It can also convert files to video editing software, to VR, game consoles and mobile devices. With this software, you will be able to download video, audios and images from more than 10,000 web sharing sites such as Facebook, Twitter, Vimeo, YouTube and Spotify, to name a few. 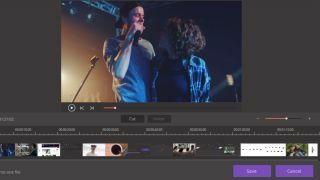 Wondershare Video Editor also allows you to perform basic editing to your files such as trimming, cropping, rotating and applying advanced effects. Moreover, as you edit you will be able to preview the changes in real time. To add on, Wondershare allows you to move files from your computer to devices like Android phones and iOS devices. The file transfer option just happens within a few clicks. In a situation where you have media files and you want to do it via DVD, Wondershare can do that too. Simply upload your media, edit the files and burn them to DVD, Blu-Ray Disc, ISO and DVD folders. Finally, Wondershare Video Converter Ultimate’s toolbox contains a GIF maker, screen recorder functionality and a VR converter to convert your videos to virtual reality. It also allows you to fix metadata to all of your files, as well as cast to TV functionality. Wondershare Video Converter Ultimate software makes convert any video to MP4 format a synch. It’s easy to use and comes with a number of other powerful features to help streamline your workflow. So what are you waiting for? Get started with Wondershare for free today!